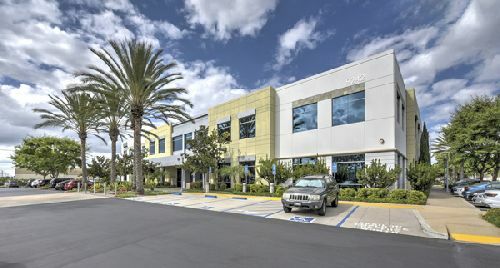 Washington Capital Management, on behalf of a client, acquired Spectrum Corporate Plaza, a 129.1k sf office campus in San Diego’s Kearny Mesa area, for $39.8 mil ($308/sf). Located at 9242 and 9246 Lightwave Ave, the campus was 95% leased at the time of sale. The property consists of two free-standing buildings with major tenants including Epsilon Systems, Henkels and McCoy, the State of California and San Diego Workforce Partnership. The plaza sits on a 6.41-acre lot and features 514 parking spaces. Spectrum Corporate plaza is centrally-located and is within one mile of the CA-52, CA-163 and I-15 freeways. Kearny Mesa is home to approximately 4,500 business employing 88,000 San Diego residents. The central San Diego submarket of Kearny Mesa has become popular for its trendy and diverse restaurant scene focused around major north-south thoroughfare Convoy Street. CBRE’s Louay Alsadek and Hunter Rowe were the investment advisors for the transaction, while Brad Black, also with CBRE, was the leasing expert for the seller. Kearny Mesa is the only major San Diego office submarket that has averaged single-digit direct vacancy since 2015, which now stands at 5.6%, according to CBRE research. CBRE Econometric Advisors forecasts that the Kearny Mesa office submarket is poised to achieve the greatest rent growth across the county, estimated at 16% over the next three years.